ITIL 4 has been launched and the Foundation material is in the early stages of being disseminated. I’ve done the training and taken the exam, and while it’s fresh in my mind, I wanted to note down how well-aligned ITIL’s new guiding principles are with KCS. Even more so, than the connections that were obvious in past versions of ITIL. The principles of one support the practices of the other. 1. Focus on value – KCS requires changing our perspective from activity-based goals to value creation through better use of knowledge. 2. Start where you are – I take the view that KCS practices can be adopted at any stage of an organisation’s maturity—small or big. Everyone has something to gain from learning how to capture the customer’s context and describe an environment accurately, so that search and self-service work better. Digital transformation is a standing agenda item for almost all boards, but what does it mean, exactly? Essentially, “digital transformation is about how an organisation uses technology to better compete”. It’s more than simply digitising documents and switching people from paper-based forms to web-based forms. It’s more than looking for ways to realise operational efficiencies by introducing automated processes, although this is how management are justifying the current spend on digital transformation projects. Knowledge has become an invaluable asset in today’s business world, it is the fuel that an organisation needs to sustain itself in its environment. 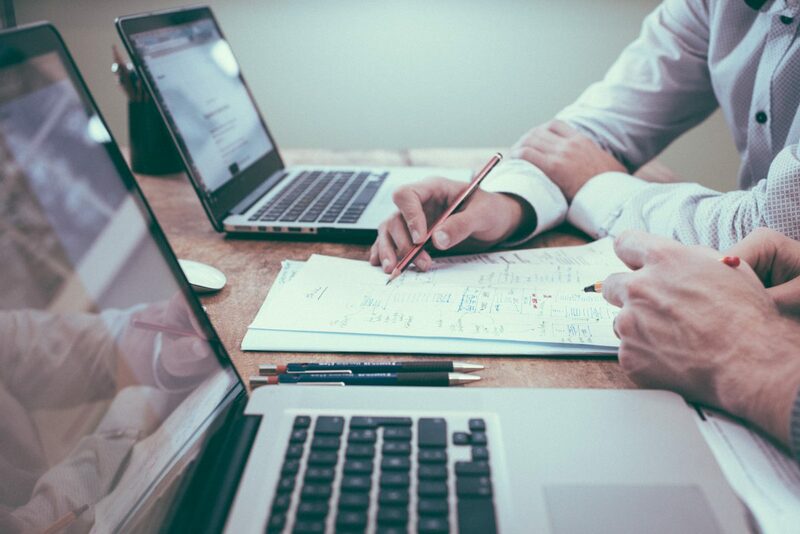 A knowledge management program (KMP) is designed to help organisations utilise this invaluable asset and maximise efficiency, productivity, and also the quality of products and services that it provides to its consumers. For an organisation to become successful and grow today, it needs to have some form of knowledge management system in place. Thinking along these lines drives many organisations to invest in such systems, but they often end up regretting this investment since it does no produce the kind of results that they had hoped for. Why does this happen? Simply because of the fact that many organisations make this decision blindly; they go into the field without figuring out exactly why they need a knowledge management system in the first place. Technology continues to advance at an exponential rate, and businesses are struggling to keep up. One way to stay relevant in a crowded, sophisticated marketplace is to employ workers who can emulate the dizzying pace of progress. That isn’t as difficult as it sounds. It may be simply a matter of how — and when — employees learn that makes a difference. Today’s skills, from business acumen to robotics, can’t be mastered in one-time training sessions. They’re too complex and multi-faceted. True mastery requires ongoing support, hands-on practice, and regular reinforcement. The consumerisation of workplace apps is finally addressing the long-neglected software experience of the enterprise user. Our workday-selves are now being treated to the kind of attractive interfaces and convenient procurement paths that our weekend-selves have had for some time. The laser-focused problem-solving of modern software has created new challenges that now need addressing, though. I’ve talked about this challenge before, and Work-Bench’s Jessica Lin, recently pointed out the growth in “Enterprise Knowledge Management 2.0″ or the” Team Intelligence Layer”. Besides the fractured knowledge sources that spawn like a mogwai drenched with water (google it), you also need to factor in the cost of each of the tools you add to your support stack. Nothing does everything well, so be prepared to add on, but do so with a total stack budget per agent in mind. There’s no standard definition of knowledge management and there’s a lack of understanding of what it is and where it fits, or should fit, in an organisation’s management toolset. In my view, knowledge management is the strategic director of many activities to do with mobilising knowledge throughout an organisation and between the business and its partners and customers. 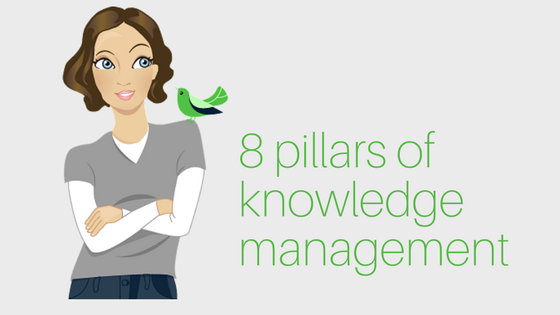 A knowledge management strategy should be connected to the overall strategy of the business and thought should be given to these 8 areas. Not all of them will fit with your strategy, but there may come a time when they will. Knowledge auditing – know where your silos and repositories are and what the flow currently looks like. Document management (or content management) – consider the information architecture for your explicit knowledge early on. L&D – Map staff development with business goals. One of the biggest obstacles organisations have when they introduce a learning and development program for the first time is designing a curriculum. Creating individual content for an e-learning system, for example, can be a daunting exercise—not unlike the writer facing a blank page. Even preparing a new team member with what they need to know can be a challenge when you don’t know what you know. Well, you know what they need to be able to get done, but you may not be able to explain the process or articulate the how or even the why, because the way you get it done has become so automatic that you don’t even think about it. This is called tacit knowledge and it’s what Dave Snowden describes as being the knowledge we don’t know we have until someone asks us the question. I grew up in the family business of ticketwriting & screenprinting. I went to TAFE to learn foundational skills in calligraphy, brush lettering, and screenprinting, and I spent time in the workshop with my parents showing me how to apply those skills. I was able to build on that learned foundation and they were able to transfer the kind of knowledge that can only be gained from years of hands-on industry and organisation-specific experience, such as why certain decisions were made. Essentially, it was a period of apprenticeship. A knowledge management program is a change management program, and lasting behaviour change needs rewired routines. One of the simplest and most cost-effective ways to reinforce new behaviours is to make those expectations visible with posters in the work area. The Consortium for Service Innovation was smart enough to develop simple and memorable statements to help practitioners remember the activities most critical to the Knowledge Centered Support methodology. Knowledge Centered Service doesn’t have a big following in Australia, yet, but it’s well-known in IT service management circles, and it’s perfectly suited to support environments like call centres and IT help desks. But KCS is in no way limited to those applications and the fundamental techniques are just good habits for all knowledge workers. In the first of my KnowTech reports, I am focusing on applications that facilitate formal mentoring programs. Mentoring is a concept we’re all familiar with. We often form a mentor-mentee relationship organically, and it may only be through reflection that you describe an individual as your mentor. Some of us seek out mentors, and some of us are approached to be one. It doesn’t seem to go the other way quite so often, and I think that’s to do with a lack of self-worth and confidence, and perhaps the perception of it being a one-way benefit.